This bowl is made with high quality. 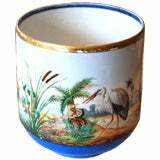 It was made by the best porcelain makers and painters in France to imitate the chines porcelain. 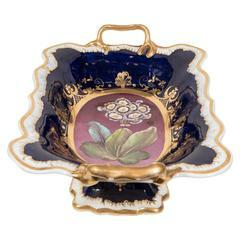 This blue bowl is made with golden paint and incredible fine art work inside of the bowl. Made in the late 1900 or early 2000 century. Good condition Measures: H 15 cm, D 29 cm. Nice carved bowl in teak with a nicely to the bowl fitted nutcracker. Designed in Denmark for Digsmed. 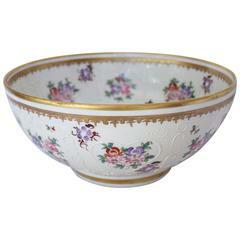 Good condition Measures 18 x 18 cm H 10 cm. Unique Ceramic Bowl Sven Wejsfelt Gustavsberg. 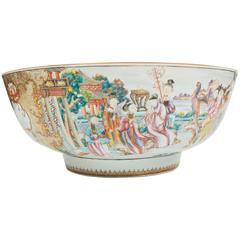 A fine, large antique Japanese Imari bowl. 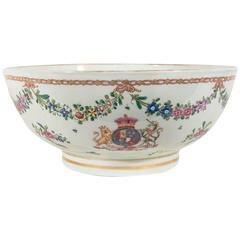 Decorated with red, blue, green and ochre enamels throughout. Measures: Diameter: ca. 12 /12 in.